School’s out, summer’s here. Parents everywhere are cheering. Or are they? I hate that we have to be out of the house a whole hour earlier than during the school year, in time to catch the bus to camp. Our already-challenging mornings become even more compressed and panicky because, no matter how well prepared we are, kids just want to play – not pack their lunches, find their towel, apply sunscreen, brush teeth, etc etc. It’s the fear of missing the bus and having to consequently drive 40 minutes in the opposite direction from my workplace that fuels these mornings. I hate that, no matter how well I’ve organized the camp clothing procurement process with the goal of having a sufficient supply chain of shorts, T-shirts, socks, swimsuits and towels, I still end up having to do laundry every single night. Because camp clothes aren’t just a little dirty – they are sweaty, sandy, muddy, dank, stained with arts and crafts and bug spray. They require boiling. I hate that stuff always gets lost, no matter how well labelled. Towels, water bottles, sun screen, swimsuits, lunch boxes, goggles, underwear. I hate camp songs. Sure, they are cute at first. But when your kids sing them over and over, morning and evening and all weekend – especially those “repeat after me” songs – it’s enough to drive me loony. I hate the cost of 8-9 weeks of summer camp because, as a working parent, what else are you going to do? I also hate that I have to start reserving my kids’ spot at summer camp in January, for fear that it’ll book up really quickly and then we’ll be royally screwed. I hate that many of the fun, smaller or specialist camps are not only crazy expensive but they also finish at 3 or 4pm? What’s a working parent to do? But …. I love summer camp. I love that my kids spend their days outside at camp running, playing, swimming, fishing, boating, archery, learning outdoor skills and much much more. It’s how kids were meant to spend their summers: carefree, making new friends, trying new challenges. Happy as pigs in …. well, you know. I love how my kids’ camp – the YMCA – provides sufficient structure for a camp of 800 kids but at the same time encourages discovery, expression and free-play. I love that they come home tired, filthy, and hungry. They eat their body weight in food for dinner and then sleep soundly for ten hours. I love that they are spending less time in front of screens. I feel like our money has been well-spent and my kids are making memories every year, building layer upon layer of character and confidence. So yes, mention summer camp and I’ll both smile and grimace. And yes, soon enough, the time will come that they go to sleep away camps for several weeks at a time. Then, I’m sure, I’ll be singing a different tune. This is not a post about teaching your kids to dress themselves or tie their own shoelaces. It’s not even a post about ensuring your kids tidy their rooms and put their dirty clothes in the hamper. Or take out the trash and pack their own lunch. And shocker, it’s not about kids picking up their effing Legos. It’s not about teaching reading, manners, social skills, negotiation, independence or any of that. Yes, yes, these are all important to their well-being and development, to the orderliness of your household, your mental health and the general good of society and all that. But there are a few extra skills which, quite frankly/selfishly, are the icing on the parental cake. Let’s call them bonus skills. How to give your neck and shoulder massage nice, firm massage. Their little bony fingers can actually dig in to your tight sore muscles better than an expensive masseur. How to use the coffee machine. After all kids love to push buttons so popping a K-cup into the machine is a breeze. What other bonus skills are you teaching your kids? As a working Mom I don’t manage to spend much time in my kids’ classrooms, something I try not to guilt myself about too much. But I aim to be there for the things that really matter to my kids – like when they are making a presentation to the class and other parents. The excitement and pride fairly sparkles in their eyes when a parent is there to watch them. And I admit it, I always get misty-eyed too. Last week, following several weeks of prep and some last-minute panic over a suitable costume, my son and fellow third graders presented the fruits of their biography project. 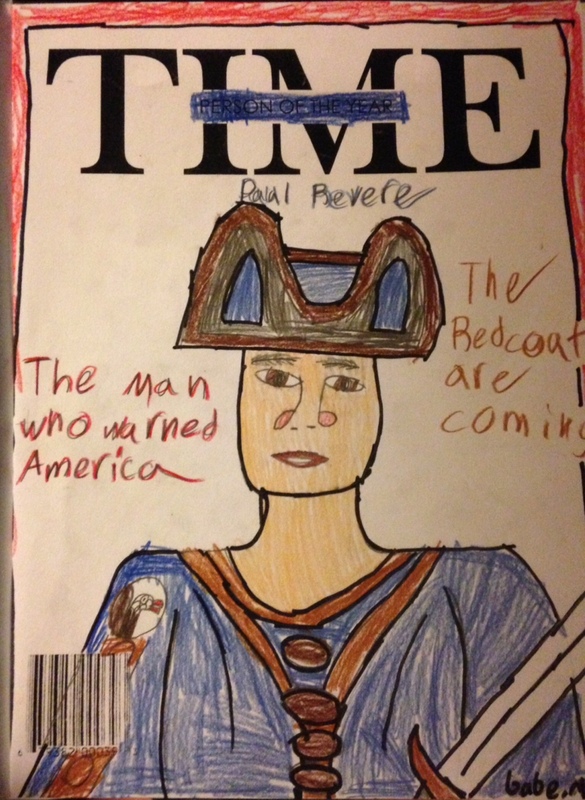 I was beyond proud to watch my son, dressed as Paul Revere, deliver his essay about this freedom fighter to the assembled kids and parents. One by one, his fellow classmates each stood up and educated me about the character they had selected. Not just facts but their interpretation of why each person mattered, how he or she contributed to society and changed the world forever. In less than five short minutes, the kids explored the character traits and motivations of their selected biographical character, and how they felt inspired by their achievements. From Susan B. Anthony and Marco Polo to Nelly Bly, Steve Jobs and Louis Braille and more — I was truly impressed. But the icing on the cake came at the very end when all the kids gathered together to present a poem they had jointly written. “What If?” explores how gravely the world would be different, were it not for the contributions of each of these individuals they had studied. I’m posting an abbreviated version of the poem below because I really think the entire school project (which lasted roughly six weeks) culminated in these kids not only learning some solid history but also realizing that they too have the potential to do great things. For this, I laud their teachers. Didn’t have a creative mind? Never had a dream in sight? Didn’t run with all her might? Fast forward several decades and now I’m the Mom, pondering the school lunch landscape. Fortunately, thanks to Jamie Oliver’s Food Revolution and Michelle Obama’s program, school lunches here in the US are not as dire as they used to be and there is far more awareness of what constitutes a nutritious lunch, despite push back from school departments and economic challenges, especially here in Boston and Framingham. 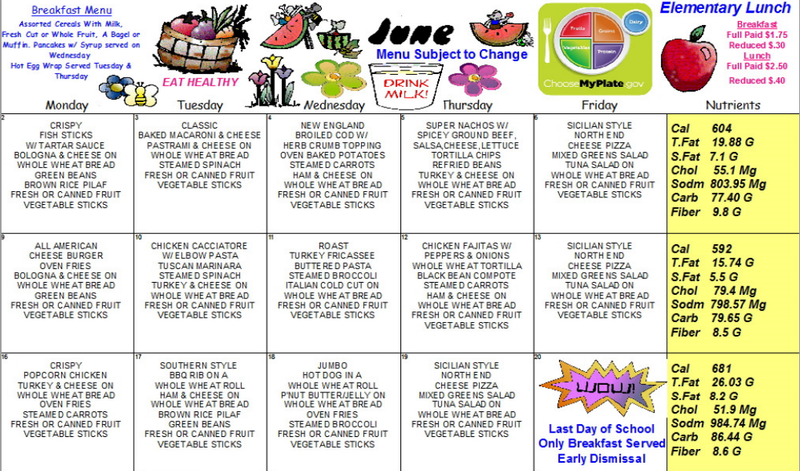 My kids’ school district)has made good strides in providing healthier launch options and I commend them. Still, I’m not altogether sure that my kids would always make good choices or appreciate the food on offer (see below – roast turkey fricassee, anyone?) So every day they go to school with a home-packed lunchbox. Except Friday because pizza. 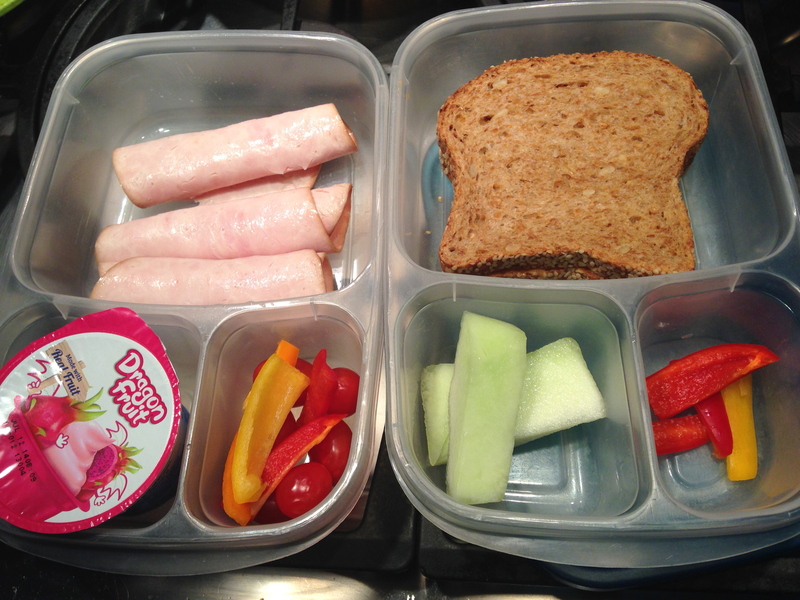 Have you ever done a quick search on Google or Pinterest for lunch box ideas? There are thousands, offering suggestions for alternatives to the tired PB & J, strategies for lunch planning and prep, and ways to create artistic masterpieces that will convince your kids to actually eat celery sticks. So much wastage – their lunch boxes would always come home with loads of uneaten items. So, in order to ensure their little tummies were full, their taste buds challenged and that we weren’t tipping all the leftovers into the trash every evening, we decided to try out three different approaches. Theory: This phase involved cramming their bento-boxes with lots of different choices. Call it pick ‘n’ mix, the theory being that hopefully they’d eat a little bit of everything and get a well-rounded meal. Conclusion: Failure. The kids ate what they liked, left what they didn’t and good food went to waste. Theory: Surprise “baba ganoush and black beans” for lunch! We assumed that they’d be so hungry at lunchtime that they’d surely eat whatever unexpected delight they found in their lunch boxes. Conclusion: Failure. It appears that kids would rather go hungry than eat suspicious food stuffs. Meaning crabby kids at the end of the day and yes, wastage. Theory: A few months ago, I was struck by the realization that unless we stop doing stuff for our kids, they will never be able to do anything for themselves. So we decided they could make their own darn lunches every day (except Friday because pizza.) We provided some basic ground rules, like you must include protein and vegetables and the ratio of sweet stuff must not outweigh said protein and vegetables. My husband even taught them how to slice their own cucumbers which terrifies me despite the fact that my seven-year-old proclaims she is now “good with knives.” Oh joy. Conclusion: Other than the daily concern of finger amputation, success! The kids are making good choices (see below), taking responsibility for feeding themselves, and best yet: they eat everything. Plus, my husband has an extra 10 mins in the morning. My only regret is that we didn’t go the DIY route earlier. The next challenge is to get them to mix things up a little (my youngest picks the same foods almost every day) but all in all, DIY has been the way to go. Lunch box dilemmas solved! My 7-year-old needs new shorts. The ones labeled 4-5 have lasted us two years but they are now worn and stained. We could probably squeeze one more summer out of them but there’s a high probability of a wardrobe malfunction at camp. So I went out and bought her a few more pairs of shorts from Gymboree. The label said 7 with a parenthesis saying 6-7 so I assumed they would fit. Wrong. Too big. (P.S. Gymboree, it’d be really helpful if you had a changing room so we could discover this before buying the shorts and coming home.) Then I realized that, this time last year, I did exactly the same thing. Bought her two pairs of shorts from Target labeled 6-6X. She was six at the time so I figured I was safe. But no, those were also big too and, for the record, we tried them on last week and they are still too big. I always run into similar issues with pants in the fall with my son, now 9-years-old. He always seems to grow, like, a foot during the summer (an exaggeration, I know, but it’s always when they seem to shoot up) and the pants that fit him fine in the spring are now four inches too short. So out I go and blithely buy him pants that are sized to match his age. And every time I discover they are either enormous around the middle and/or a foot too long. Now, before you say it, I know that kids come in all shapes and sizes. I happen to think my two are perfectly average. They don’t appear drastically taller/shorter/thinner/fatter that their peers. (I couldn’t tell you their percentiles because their pediatrician never tells us — he’s a firm believer in not labeling kids and I love him for it.) I also know that kids have random growth spurts. One day you can’t get more than a slice of cucumber in them. The next, they’re chowing down on an 8-oz steak and a gallon of milk. So, dear retailers, here’s a plea from me and, I suspect, parents everywhere: please don’t label clothes aspirationally. I mean we all know that kids are going to grow — it’s their job. But I’d very much like to walk into a kids clothing store and purchase clothes with the confidence that, if it says 7, it’ll fit an average 7-year-old. At least until the next growth spurt. On the flip side, when you label things 8-10 (I’m looking at you Target), that’s way, way, way, too large a bet too hedge. Because here’s the thing: kids are usually proud of their age. My 7-year-old does not want to have to wear clothes for 5- or 6-year-olds because the stuff labeled 7 won’t fit her until she’s 8 or 9. My 9-year-old doesn’t want to continue to wear pants labeled 7 because they are the only ones the fit his waist: but the ones labeled 8-10 could fit a giant, by comparison. By the way, we kept my daughter’s new shorts even though they could drop down to her knees with one jiggle too many. Fortunately, we have safety pins that will have to keep them up until her 7-year-old body decides to expand sufficiently to fit these shorts labeled 6-7. Maybe by this time next year, they will fit.